Revenue in the Plastic & Other Toys segment amounts to US$5,950m in 2019. The market is expected to grow annually by 1.7% (CAGR 2019-2023). In global comparison, most revenue is generated in China (US$10,719m in 2019). In relation to total population figures, per person revenues of US$18.08 are generated in 2019. This segment contains a wide variety of toys for children not included in any other section. Those include, for instance, toy balloons and kites, tools and implements, counting frames, toy clocks and watches, walkie-talkies, play tents, money boxes, theaters, toy spectacles and sunglasses without prescription lenses or UV protection, as well as magic lanterns, hoops and skipping ropes, marbles, jack-in-the-boxes, etc. Naturally, this segment excludes products with full functional capabilities – for example, a plastic telephone toy can be found in this segment, while fully functional phones belong to a different market. 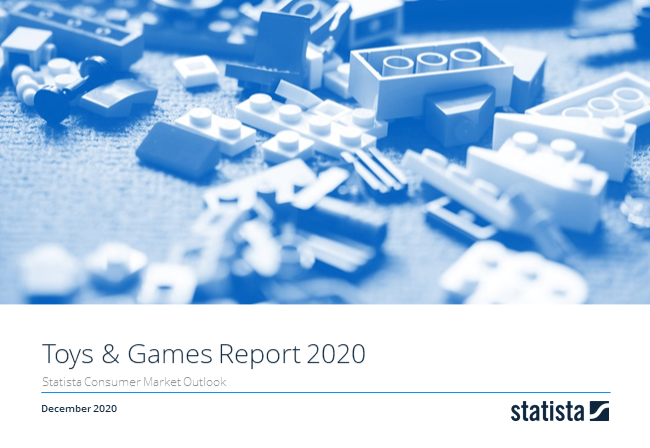 Reading Support Revenue in the Plastic & Other Toys segment amounts to US$5,950m in 2019. Reading Support The Plastic & Other Toys segment is expected to show a revenue growth of 1.9% in 2020. Reading Support The average revenue per person in the market for Plastic & Other Toys amounts to US$18.08 in 2019. Reading Support With a market volume of US$10,719m in 2019, most revenue is generated in China. Here you can find more studies and statistics about "Plastic & Other Toys".